Abstract: In the real world of library service, librarians have to keep up with change by answering specific questions. They need training because technology, the character of populations, and local economics all are changing. Recognizing that technology is a catalyst of change, the author shows how librarians can and do work to help libraries harness the power of technology to navigate the changing reading and information needs of their communities. This article examines useful behaviors as librarians approach their work tasks, relying on new technology to help meet customers’ reading and information needs. 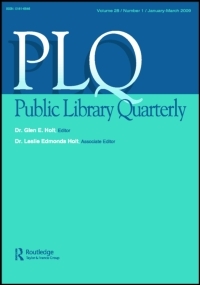 Available at Public Library Quarterly and here.